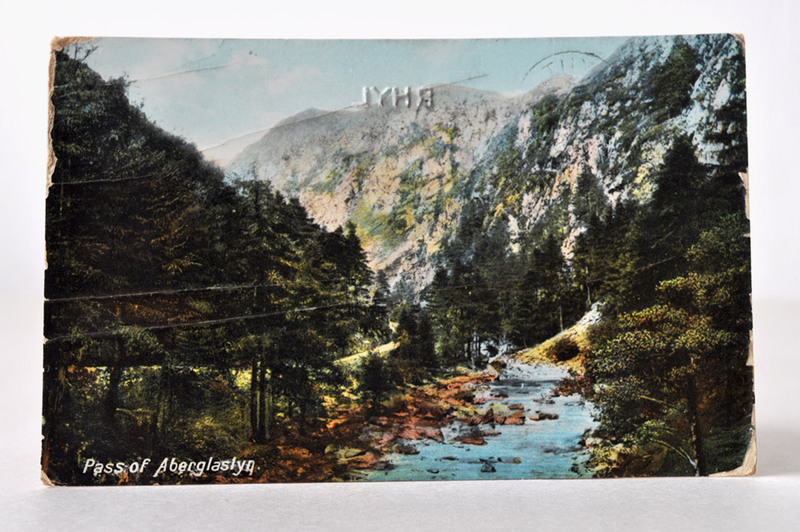 Postcard from Rhyl – Pass of Aberglaslyn. Stamp enthusiasts out there can help me identify the date. It looks like it’s either 1909 or 1929 if the way the 9 comes in on the left at the back is continuous. Daisy had a lovely time at Rhyl bathing in the sea every morning and afternoon. She had a friend named Edith. These names have a Downton Abbey feel. What I’m curious about is why the note itself is written in pencil and then the address in ink. Was she conserving ink? Such neat and precise handwriting. The addressee text could pass for a font. Status: Keep. This is part of the postcards I got recently in Victoria, to be added to the unearthed ephemera collection, which will now be properly stored, displayed, as opposed to shoved into some drawer gathering dust and mites. Kill-ratio: Two Takes. Take 1 were all deleted, so I’m not sure. What is this Untitled nonsense? Go back to the source to find out. What a great looking postcard! It is lovely, isn’t it. Wow, you’re right, just like a font! 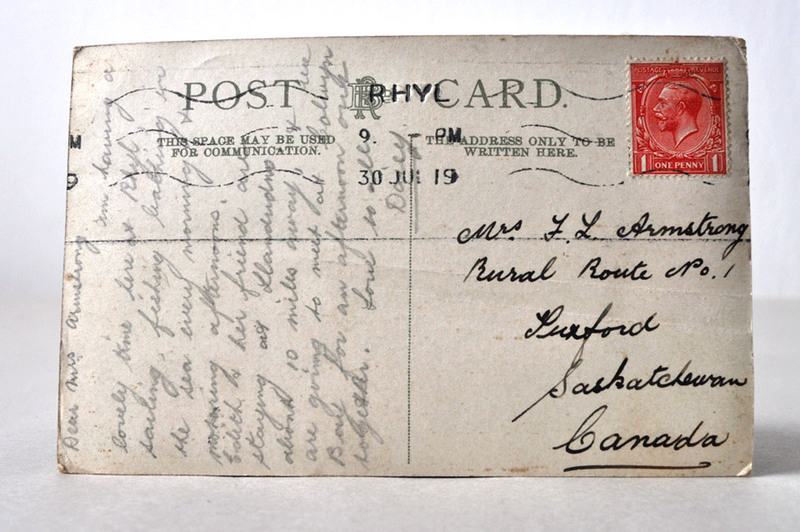 I’d say 1919, if you look at the postmark in the middle (30 JUL 19 by the looks of it), at least to me… Very cool blog, consider me a follower!